Microsoft might not have had the banner year they were hoping for with Windows 8 thus far but it’s hard to overlook the success that Windows Phone has had in 2012. A recent post on the official Windows blog by Microsoft Senior Director for Windows Marketplace Todd Brix highlights some of Microsoft’s most significant achievements in this market. According to the executive, there are now more apps available for Windows Phone users than ever before although that is to be expected. The company has certified and published more than 75,000 new apps and games this year. This more than doubles the catalog of apps available to users compared to the same time period a year ago. Developers also pushed out more than 300,000 updates for applications that are already live, we’re told. On a more detailed level, the average Windows Phone user downloaded 54 apps in 2012 although the breakdown of paid apps versus free apps is unknown. Brix further points out that Microsoft has made it easier for users to discover new apps by implementing elements of Bing search into the Windows Marketplace. 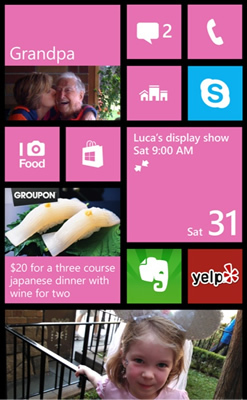 Looking forward, the outlook for the Windows Phone ecosystem looks bright and sunny. Microsoft has already seen an increase in developer revenue month over month which is up 40 percent in the 30 days since the SDK was released. Brix expects that to grow as new hardware and apps with expanded capabilities reach customers.